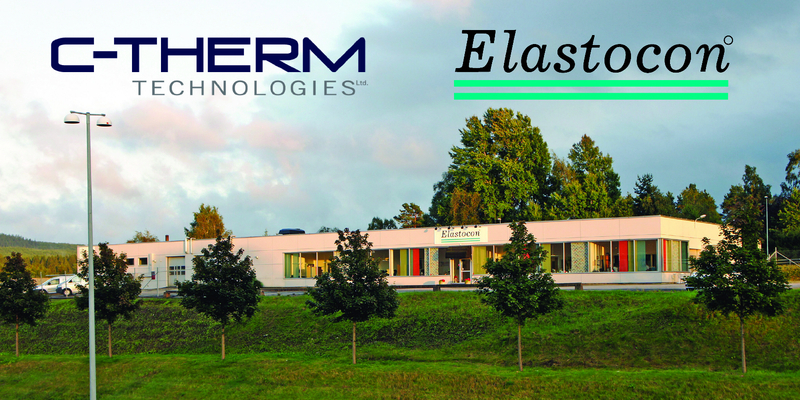 “As C-Therm continues to grow its user base across Scandinavia, Elastocon will play a critical role for on-the-ground sales and support,” comments Jarett Nickerson, Commercial Director of C-Therm Technologies Ltd.
“C-Therm has a strong distribution network in over 50 countries worldwide, from Brazil to Italy to Japan, providing local support to our TCi users. In joining this network, Elastocon will build upon our global success in Norway, Sweden and Denmark.” continued Jarett. Elastocon is a Swedish manufacturer of instrumentation for testing of rubber and plastics, and carries a portfolio of complimentary instrumentation from top global brands. “We are excited to partner with the global leaders in thermal conductivity, C-Therm Technologies. When considering a thermal conductivity solution, their impressive client list and the ease of use of the TCi made C-Therm our first choice. With our new C-Therm TCi demonstration system, researchers from around Scandinavia are now able to locally schedule demo meetings and validation testing.” said Martin Spetz, Elastocon AB Managing Director. Elastocon manufactures and sells testing instruments for rubber and plastic materials. We offer instruments for existing test methods and develop instruments for new test methods. Our objective is to offer instruments with high precision, which gives accurate results. The range of instruments includes our own developed instruments as well as instruments from several known instrument manufacturers. C-Therm Technologies Ltd., located in Fredericton New Brunswick, Canada, provides thermal conductivity characterization instrumentation for R&D, production and quality control environments. C-Therm’s flagship product – the TCi™ Thermal Conductivity Analyzer - delivers fast, accurate measurement of thermal conductivity and effusivity. The company also offers a powerful product line in dilatometry and process analytical technology. To find out more information about C-Therm Technologies Ltd.’s products and applications, visit their website at www.ctherm.com.